"Hasta la victoria siempre", "Con voluntad constuimos el socialismo", "Tu ejemplo vive, tus ideas perduran", read the first few billboards I came across on the highway. Advertisements as such do not really exist in Cuba. Instead nationalistic propaganda flows from massive billboards touting the virtues of socialism, hard work, and pride in the revolution. Bronze busts of the father of Cuban independence, the poet/writer Jose Martí, gleam from every town square. More impressive are the colorful abstract murals of a pensive Che Guevarra that seemingly exist around every corner, always accompanied by one of his patriotic quotations. It wasnt until the mid 50s that the young Argentinean doctor Ernesto "Che" Guevarra met Fidel Castro in Mexico. Castro had been deposed after a failed coup against the Batista regime in 1953. Poverty, corruption, and a widening class struggle made Cuba ripe for revolution in the late 50s and so together with Camilio Cienfuegos, Raul Castro and 80 other hardened revolutionaries, Fidel and Che set sail for Cuba from Mexico on the boat La Granma in search of victory. Upon landing the small force was decimated and less that 20 survived. The "comandantes" Che, Fidel, Raul Castro, and Cienfuegos then fled with their small surviving band to the foothills of the Sierra Madre Mountains and regrouped gathering grassroots support. 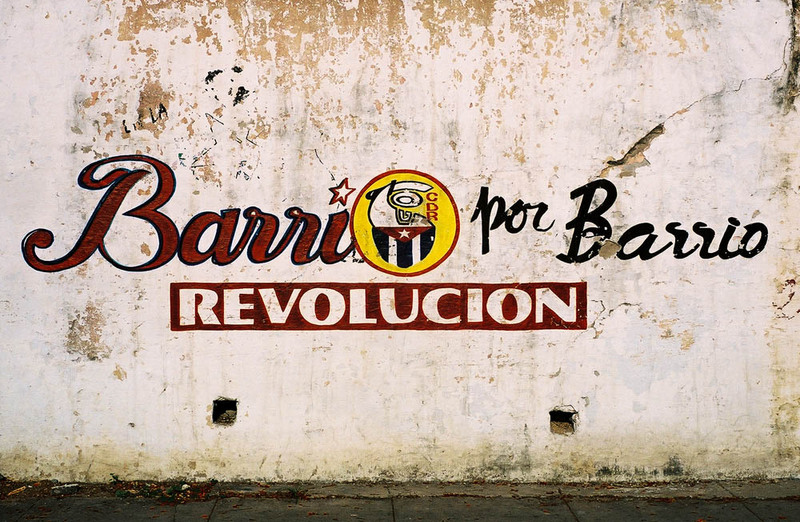 By 1959 the revolution was won and Marxist Cuba was born. Years later the fearless Che Guevarra departed Cuba and became an even larger myth after he was captured and killed by Bolivian forces while trying to foster revolution in South America. Sonorous ballads resonate through the air as jovial old men in guayabera shirts lounge under shaded porticos strumming Cuban melodies on aging guitars. School children engage in fierce games of stickball in the streets while dodging classic 50's era American cars periodically swooning by. At night locals frolic and sing, drink cheap rum, and dangle their feet off "El Malacón", the grand avenue and walled boardwalk that kisses the Caribbean shores. Old Havana basks in an aura of architectural bliss and seems to have changed very little from the days when Hemmingway penned The Old Man and the Sea and enjoyed frozen daiquiris at the cozy "Floridita" bar. City dwellers cram into large neo-classical edifices skirted with grand colonnades and expansive arcades. Decadent Colonial era buildings with Moorish and Spanish motifs run the gamut of color with eclectic shades of chipping paint like turquoise, lime, yellow, and bright red. This all against the backdrop of towering facades lined with rusted wrought iron window frames and pendulous doorways that shine in the amber glow of the afternoon sun. 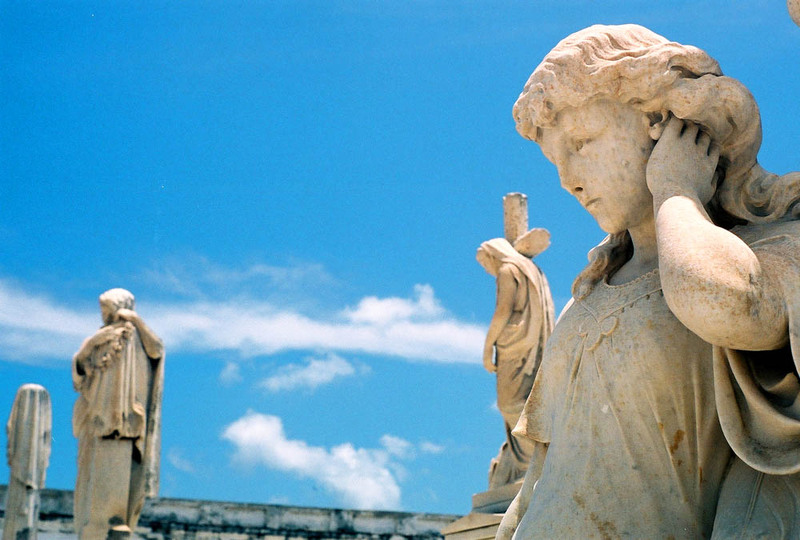 Havana is an epicenter of nostalgia. 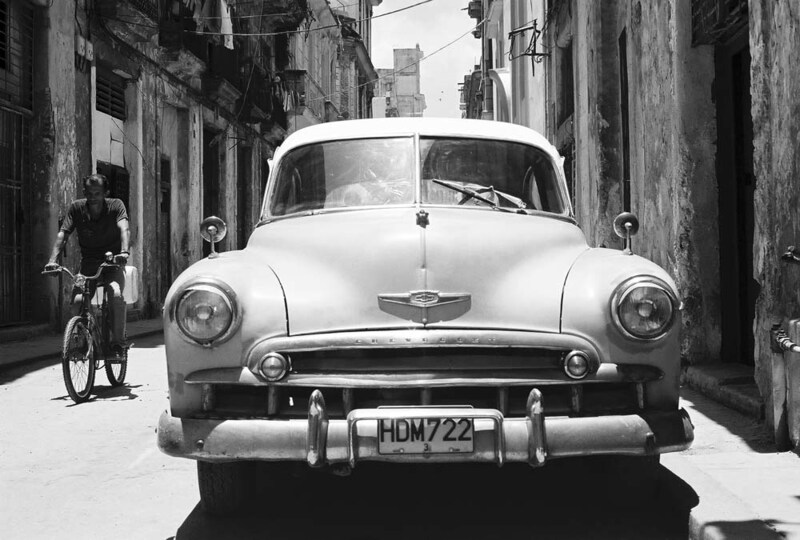 At least 1/3 of the fleet of Cuban cars consists of vivid 50s American automobiles. Flamboyant Buicks, Pontiacs, Dodges, Plymouths, Oldsmobiles, Fords, and Chevys cruise the avenues...as they idle at stoplights the deep hum of their large displacement V8 engines emit oscillating beats like the boom of a tympani in a Wagnerian symphony, a reminder of the glory days of strong American cars. These robust dinosaurs of another era still roar after decades on the roads. Stepping inside the commodious interiors one can see why they might have endured so long. The dashboards and steering wheels are constructed of solid steel and the faded analog dials all seem to have some residual function. Some cars even have the original radios. This was my preferred mode of taxi. The rest of the Cuban fleet lacks the same panache and consists mostly of a tired uninspiring Russian import called the "Lada" along with a smattering of Japanese and German imports. Havana is also notable for its myriad Spanish style squares and lively plazas that bustle with pedestrians day and night. One of the most interesting is the Plaza de las Armas where antiquarian book vendors peddle their literature from outdoor bookstands. A short walk away on a nearby hill lies a colonial era Spanish fort guarding the harbor. To the east of Havana lie the beautiful beaches and turquoise waters of the Playas del Este. The acoustic salsa band jammed from a makeshift stage, and as local couples blithely danced on the cobblestone street in front of me I continued to sip my mojito and toke my Cohiba Esplendido cigar I still couldnt believe I was in Cuba. Hmmm, so relaxing, the way life should be.... to live life any other way than the Trinidadian way would seem a flagrant absurdity and a heinous crime against all that embodies happiness. Trinidad is the 3rd oldest city in Cuba and the pace is slower here than in Havana. Mules can be seen footing burlap sacks of sugar on well-trodden paths. Everyone here seems to embrace the subtle joys of life and a beaming smile is somewhat of a sine qua non in Trinidad. Here the small alleyways lead to grand cathedrals and large clock towers. Trinidads humble train station is small and unassuming. The train that wound through the nearby valley was built in 1919, the rustic vistas were spectacular as large palm trees burgeoned from the flat green valleys. The locomotive sauntered by abandoned sugarcane plantations and bucolic villages. Near the train station hiking trails are easily reached by horseback, hiking on one of the trails leads to a dark blue lagoon surrounding a frigid waterfall. Enrico Caruso once crooned at Cienfugos ornate turn of the century opera theatre. A short stroll outside the city lies an eerily beautiful graveyard lined with luminous red flowers and large palms where tranquil white statues of ghostly cherubs keep a perpetual vigil over the fallen. Viñales stands in the shadow of prodigious limestone cliffs reminiscent of the cliffs of central China. Over the eons small rivers have eroded their way into the limestone mountains and its possible to navigate small boats though the serpentine bowels of the vacuous caves. Cubans are a resourceful people and waste very little. Many commodities are scarce here, fuel and paper for instance. It is odd to see the grass on the side of the highways (and everywhere else for that matter) being cut by teams of laborers machetes in hand....no lawnmowers here I guess. Along many plazas in Cuba one encounters "reparadoros de encendadores" or disposable cigarette lighter repairmen. They actually make a living taking disposable lighters apart, filling them with fuel, and fixing jammed parts. Even finding a scrap of paper to write on or a pen is a cumbersome task accomplished with no small degree of difficulty. Also of interest, Cuba appears to have a duel economy. Cubans pay for goods in moneda national (Cuban pesos) while foreigners are ironically made to pay for every thing in the US dollar. Socialism is a multifaceted institution and to be sure civil liberties and free speech are compromised among a plethora of other rights. However, on a strictly utilitarian level the Cuban system seems to function very well. Health care is excellent and universal, indeed Cuba is said to have one of the best health systems in the Americas after the US and Canada. They even send teams of physicians on mission trips to help their brethren in other Latin American countries. Forty percent of the GDP is allocated to health care. Further, Cuba is one of the very few countries I've been to where I cant remember much witnessing the plight of the homeless and hungry. It seems that here everyone is provided for. People on the street I chatted with seemed to be genuinely complacent with their political system and the Castro regime in general. More important Cubans appear to be content with life as a whole. ¡Viva Cuba!